This pooch you see above might be the luckiest Dodger dog in the world. Not only did his family (err, dad -- as you'll soon find out) have the good judgement to name him Kershaw, but he also received a unique gift that has me filled with envy. Check it out below. Featured is another photograph of Kershaw the dog but this time it has been signed by Clayton Kershaw himself. Wow! This was recently shared on the Dodgers subreddit by r/rjohnstone13. As the story goes, the photograph of Kershaw the dog was sent to Kershaw the pitcher in August of last year in hopes he'd return it signed. This is a frequent practice in the autograph collecting world, and is commonly known as a TTM (through the mail) autograph. As you can imagine, it is always a crapshoot whether or not you get an actual response. Heck, for a player as popular as Kershaw it wouldn't be surprising if it took tens of months, or if you receive no response at all. Fortunately for Kershaw, Kershaw got back to him very quickly. Hilariously, this is is only part of the story. As redditor's came to find out, the naming of Kershaw was quite an ordeal. 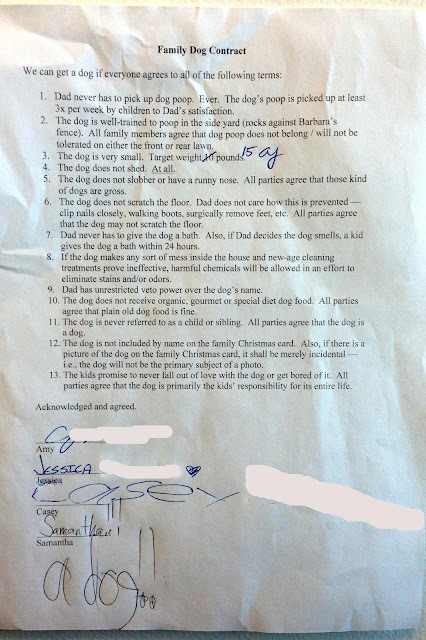 After what was described to me as an negotiation that lasted several years, the father finally relented to the pleading, screams and demands of his wife and three kids. 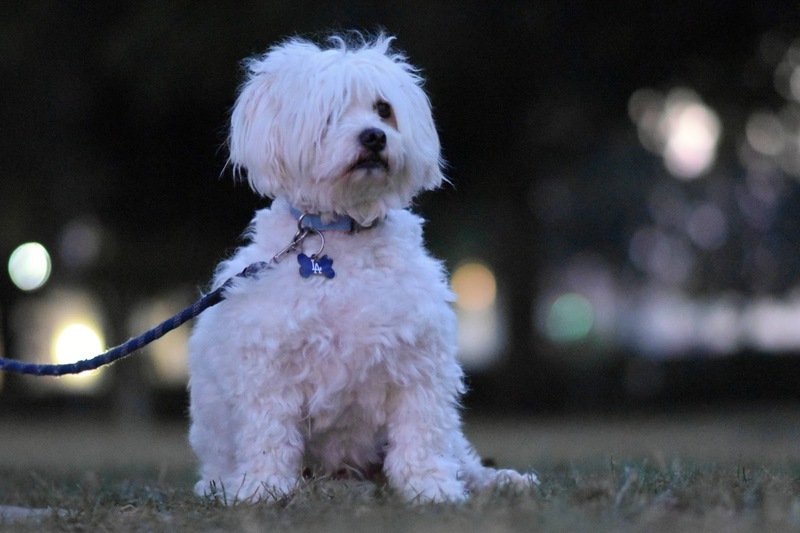 They wanted a dog, and apparently they were willing to sign away their life to get one. Term #9 functionally resulted in "Kershaw" -- I vetoed every single other suggestion. Now this is a man after my own heart. 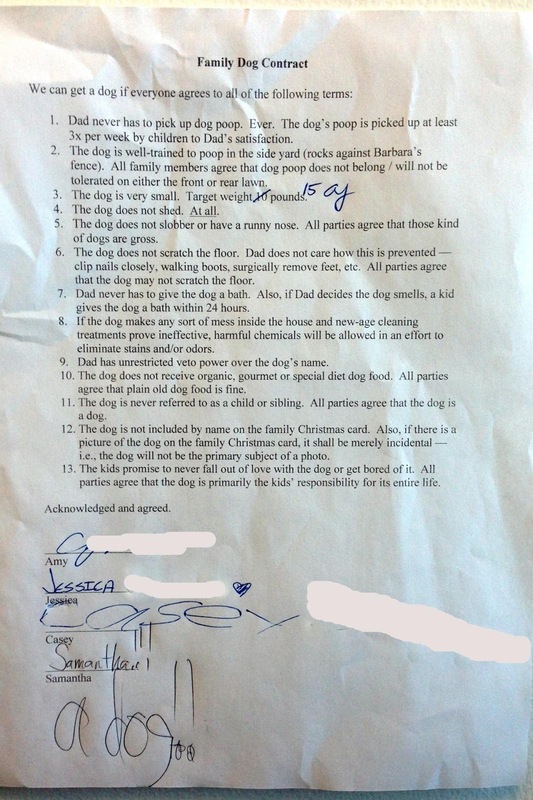 Since he knew he could no longer say no he figured that naming the dog should be his right. As for Kershaw the Dog, he is of an unknown breed and originally came from a shelter in May 2013. 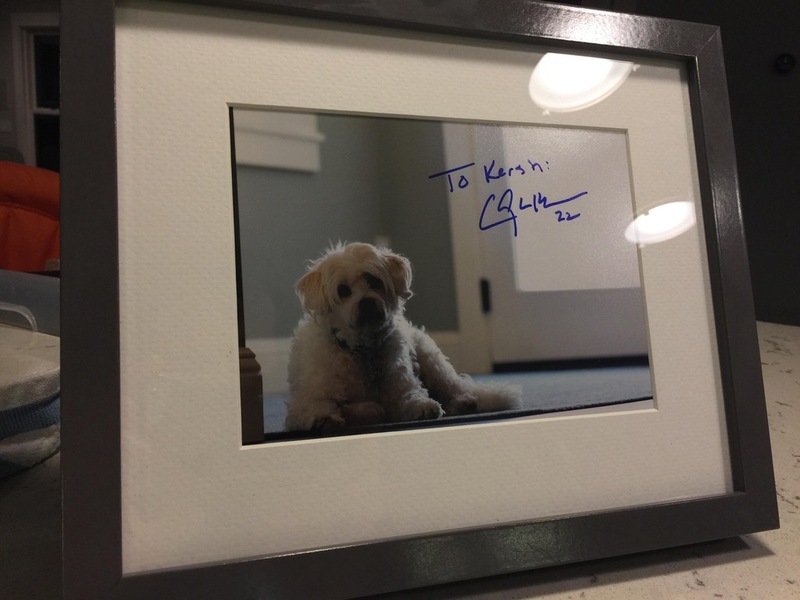 So, not only was Kershaw lucky enough to get a photograph signed by Clayton Kershaw, but he was also lucky to have found a forever home no doubt filled with tons of love. And no matter how much r/rjohnstone13 wants to not be responsible for Kershaw's daily upkeep, I am sure he loves him like one of his own (no matter what #11 in the contract says).